Today you’ll get tips and tricks that are directly connected to what the IELTS Examiner is looking for on Speaking and Writing to award you that 7 or higher. 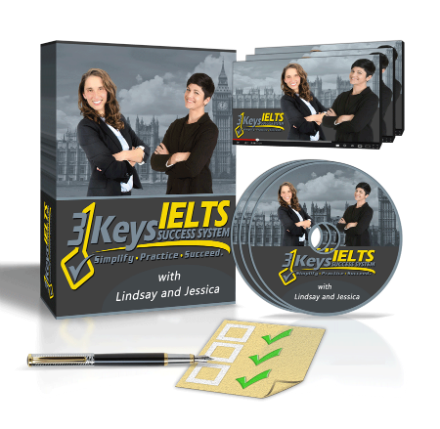 We’re going answer questions from students in our 3 Keys IELTS course. We tell our students in 3 Keys IELTS to give at least 5 sentences in Speaking Part 1 but you have to be flexible. For some answers 3 sentences is enough to fully answer it but in some cases you need more like 5 or 6 to give a solid answer. Your job is to make sure you show fluency and give as many interesting details as you can. If the Examiner has to stop you that’s okay. It’s always better to be stopped by the Examiner than to stop too soon. In Speaking Part 2 always answer the question directly immediately. Get it out of the way and then you can go on and talk about a story. Use the story that is most directly connected to the question and then if you complete that one and you still have time you can tell the related story. For a 7 or higher in Task Response you need “fully supported ideas.” Go to this article to learn how to be clear and relevant for a score of a 9. The Examiner is looking for your ability to have one strong, clear main idea and support it fully. That means that you need to offer an example and expand on it. The sentences need to follow from one to another and all can be traced back to the central main idea. You have to know the difference between Speaking Part 1 and Speaking Part 2 before you walk into the exam. When you get into 3 Keys IELTS go to the bonuses section first and make it clear in your mind what the Examiner wants for a 7, 8 or 9. With that information you can go to the first module and get started.